There are two kinds of assets: tangible and intangible. Tangible assets are assets you can see, such as a car or jewellery. Intangible asssets are assets that you can’t see, such as bank accounts. 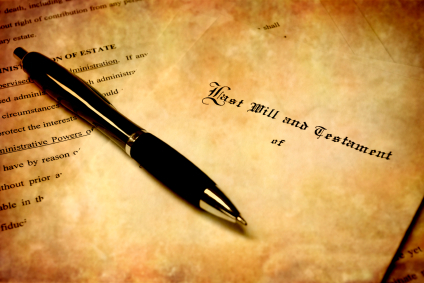 Both tangible and intangible assets must be distributed in your will in India. If you fail to distribute them, then the distribution falls to the intestacy laws, which may not be how you wish your assets to be distributed, and which may cause great rifts in your family. One way to divide your assets is to distribute them equally among your beneficiaries. For instance, if you have five beneficiaries, you would simply give each beneficiaries 20% of your estate (or one equal share each). Dividing assets equally may not be what you wish, or even all the practical, but it can go a long way to reducing disputes among family members. Another way to divide your assets in your Indian will is to give specific bequsts to each beneficiary, and then divide up the remainder of your estate (equally or not). Be sure when distributing your estate you choose your working carefully to ensure that no asset is inadvertently omitted. You should use general terminology such as “bank accounts” to ensure that no specific accounts are omitted. As well, with bequests, you should be very clear about exactly what items are and aren’t included in the bequest. A properly drafted Indian will has a “residual clause” that catches any assets that were inadvertently not distributed.